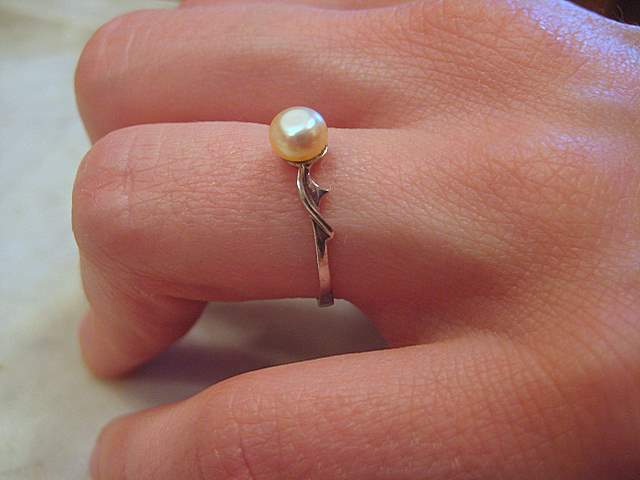 For sale is this jewelry natural pearl ring in 18K white gold. Lovely enough for an engagement ring, special enough to be an heirloom. 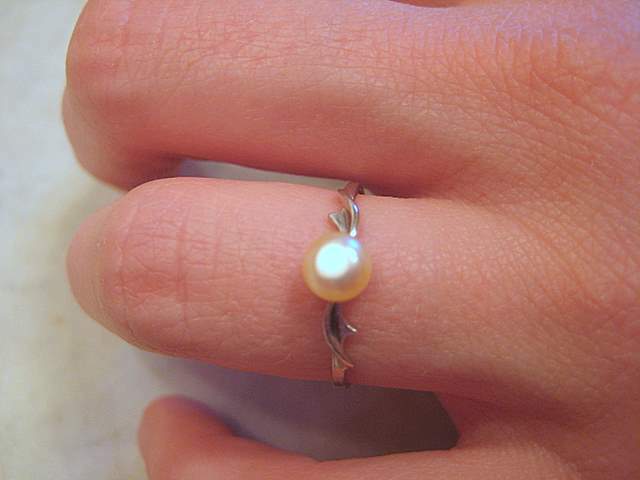 Each piece of my natural pearl jewelry comes with a certificate of authenticity from the pearl lab on the Persian Gulf. I had the pleasure of hearing Ali Safar, the pearl lab director, speak recently in Dubai at a pearl forum. I also had a second pleasure of touring the laboratory and meeting Mr. Safar personally. Leading pearl experts, such as, Elisabeth Stack, author of "Pearls", has high regard and confidence in Manama pearl lab results. Visit my catalog after jewelry natural pearl.